David, Chisana, and Tekla on the Iditarod Trail. At age 11, Chisana mushes her own team of dogs on 700 miles of the Iditarod trail with David and Tekla, to celebrate Susan’s legacy. David runs his fifth marathon to raise money for cancer research. Over the course of those five races, he raised $150,000. Alaska Governor Sarah Palin proclaims Susan Butcher Day, an annual state holiday on the first Saturday of March, commemorating the life and achievements of Susan. The Susan Butcher Family Center at Providence Hospital in Anchorage, Alaska is established. The center aids families who have loved ones battling cancer. Tekla and David at the finish line in Nome, Alaska. David publishes the children’s book Granite he and Susan wrote. The book tells the story of Susan and her lead dog Granite’s experience racing in the Iditarod. Granite has become one of the most popular books in Alaska history. For more information on Granite and how to order your personalized copy today, please visit our Granite Book page. At age 11, Tekla mushes her own team of dogs on 700 miles of the Iditarod trail, with David, to celebrate Susan’s legacy. Susan dies after a long battle with acute myelogenous leukemia at the age of 51. David and Susan open Trail Breaker Kennel to summer visitors on property, allowing people from around the world to gain a backstage pass into the historic kennel. David runs the 1,000-mile Yukon Quest, placing 4th. David races in the 300-mile Copper Basin race, placing 4th. David races in the 300-mile Copper Basin race out of Glennallen, placing 2nd. David, Susan, Tekla and Chisana travel to Washington, D.C. to represent Alaska in the Inaugural Parade for President George W. Bush. They travel down Pennsylvania Ave by dog team. David travels to Washington, D.C. for the new millenium. During his time there he is hosted by President Clinton at the Rose Garden and gives a speech about Alaska and the lifestyle of mushers at the Smithsonian National Museum of Natural History. David and Susan’s youngest daughter Chisana is born on July 3rd. Susan and her team coming through the finish chute in Nome. Susan places 10th in the Iditarod. She retires from competition to start a family. Susan gives a demonstration to the visitors on the Riverboat Discovery tour in Fairbanks. Susan places 4th in the Iditarod. Trail Breaker Kennel becomes a beloved stop on the Riverboat Discovery tour on the banks of the Chena River in Fairbanks. David and Susan are able to share their passion for mushing with visitors from around the world. Susan and some of her huskies in a cabin in Eureka. Susan places 2nd in the Iditarod. Susan and her team traverse the Iditarod trail over a creek near Kaltag. Susan races in the Iditarod. After leading the race for 900 miles she becomes lost in an Arctic blizzard outside of the White Mountain checkpoint, only 77 miles from the finish. She places 3rd that year. Susan wins her fourth Iditarod with yet another record time of 11 days 1 hour 53 minutes and 23 seconds. She becomes the only woman, and one of six mushers, to win four or more Iditarod’s. Her lead dog Granite was with her for all of those wins. Susan wins her second 400-mile John Beargrease race in Minnesota.  David and Susan purchase land in Fairbanks, Alaska, establishing the Fairbanks branch of Trail Breaker Kennel. Susan and David in Eureka, Alaska where they lived and trained their championship Alaskan huskies. Susan shakes hands with women along the Iditarod trail who hold the sign “Dee Dee or Susan – Do all the women a favor! Win the Last Great Race! Susan wins her third consecutive Iditarod with a time of 11 days 11 hours 41 minutes and 40 seconds. David wins the Yukon Quest with a time of 12 days 5 hours and 6 minutes. David and Susan win every race they entered this year. Susan presents President Ronald Reagan with the t-shirt “Alaska Where Men are Men and Women Win the Iditarod” with Alaska Senator Ted Stevens. Susan is hosted by President Ronald Reagan to congratulate her for her outstanding achievements in the sport of mushing. Susan wins her second Iditarod with another record time of 11 days 2 hours 5 minutes and 13 seconds. David places 2nd in his rookie year of running in the 1,000-mile Yukon Quest sled dog race that runs from Whitehorse to Fairbanks. Susan wins the 400-mile John Beargrease, the longest sled dog race in the lower 48 out of Minnesota. Susan and David conferring before the start at the 1986 Iditarod. Susan wins her first Iditarod in a record time of 11 days 15 hours 6 minutes and 0 seconds, becoming the second woman to win the race. Susan is racing in the Iditarod when her team is attacked by a crazed moose out on the trail. She scratches from the race. David and Susan get married in September at their property in Eureka. David, Susan, and her lead dog Granite in Eureka, Alaska. Susan races in the Iditarod, placing 2nd. Granite, Susan’s lead dog, finishes his first of many Iditarod races to come. Susan races in the Iditarod, placing 9th. David races in the Iditarod, placing 13th. David moves to Kotzebue, a small village on the coast of the Arctic Ocean, to work as a public defender. Susan’s beaver mittens she used out on the Iditarod trail. Gee and Haw are the voice commands for right and left, respectively, used in mushing to direct the dogs down the trail. David spends the summer working with the Native Corporation in the Pribilof Islands before returning to Eureka to train dogs. Both David and Susan race in the Iditarod. They realize their similar philosophies on racing and training and decide to join forces to race out of Trail Breaker Kennel in Eureka. Susan places 5th and David places 21st in his rookie year. David turns his focus to running the Iditarod by establishing his own team in Knik, AK. While there, David and Susan meet at Joe’s kennel that was also in Knik. Susan races in the Iditarod, placing 5th. Susan, her dog team, and Ray Genet at the summit of Denali. Susan, along with Joe Redington Sr., Ray Genet, Brian Okonek and Robert Stapleton, make the first ascent of Denali by dog team. David returns from Dutch Harbor to watch the finish of the Iditarod in Nome, where he becomes fascinated with the sport. Susan and her sister Kate at her first Iditarod finish. Susan races in her first Iditarod, placing 19th. She becomes the first woman to finish the race in the top 20. David moves to Dutch Harbor and starts working as a king crab fisherman in the Bering Sea. David Monson, at the age of 25, moves to Alaska after graduating from law school in South Dakota. He moves to Anchorage and works as a lawyer for the Alaska Railroad. Susan establishes Trail Breaker Kennel in Eureka, Alaska with the purpose of running the 1,000-mile Iditarod. Susan starts training for the Iditarod with her mentor Joe Redington Sr., father of the Iditarod. Susan winters with her dogs in a remote cabin in the Wrangell Mountains. She is 50 miles from her nearest neighbor and 100 miles from the nearest road. She moves back to Unalakleet in the summer, working both at the muskox farm and as a commercial fisher. Susan starts working for a muskox farm in Unalakleet, a small village on the western coast of Alaska. In the summer, she builds a small cabin in the Goldstream Valley of Fairbanks. Susan Butcher, at the age of 19, moves to Alaska in December to pursue a life of adventure in The Last Frontier.